If you have been paying any attention to food in the last year or two, the three letters G.M.O. would have at least crossed your path once if not a bunch of times. Everyone is talking about GMOs. With good reason, I don’t think they are good for us. However when an issue gets this much publicity they are bound to be some confusion and misinformation out there. As the GMO debate has been raging on a new apple variety has been taking the nation by storm. I am talking about the SweeTango. 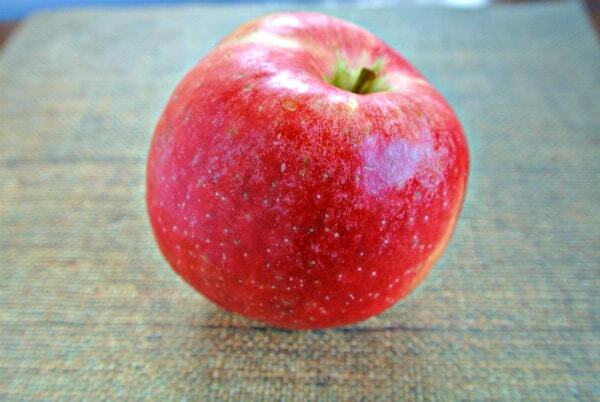 It is a cross between a Zestar and a Honeycrisp. Now when people hear this, is when some get worried. They see the word cross and think someone started gentically modifiing Honeycrisp to make a better apple. I have had people coming to my site searching for this information. Well I am here to clear the air about this. SweeTango are NOT GMOs. Nor is any commercially available apple. Yes, SweeTango was created directly by man. But it was done in the way that apples have been crossed for centuries. Whenever a popular apple comes along or one with at least 1 desirable trait, people will try cross it with another apple to create a new apple that may be even better. Every apple you are going to have is some kind of cross. Like I said before a SweeTango was made when someone at the University of Minnesota crossed a Zestar apple with a Honeycrisp. The Honeycrisp itself was a cross between a Macoun and a Honeygold. Other crosses of popular apples include: Gala (Golden Delicious X Kidd’s Orange Red), McIntosh (Fameuse X possibly Detroit Red), Golden Delicious (Grimes Golden? ), Jonagold (Jonathan X Golden Delicous). Is there a risk of a GMO apple in the future? Yes they is. While currently no GMO apples are available commercially here in the United States – Okanagan Specialty Fruits from Canada are trying to get approval from the USDA to introduce GMO apples to the market. They have developed both a Golden Delicious and Granny Smith GMO apple that resists browning and bruising. So until that happens and I am hoping it doesn’t, you won’t find GMO apples in any store. SWEE TANGO APPLES ARE GMO POISON ! These apples do NOT brown when exposed to oxygen like NORMAL Organic apples! I’ve been eating these without noticing until now! DO NOT BUY ANY APPLES FROM COSTCO !! AVOID ! AVOID ! AVOID ! SweeTango have not been genetically modified. They are a cross between a Zestar and Honeycrips using traditional fruit breeding methods. Some apples tend to not brown or brown very slowly. It depends on the apple. Here is a list of 10 apples that don’t brown quickly (http://www.healwithfood.org/best-apple-varieties/non-gmo-apples-that-dont-brown-easily.php). There are some GMO apples coming out, under the name Arctic (Arctic Granny Smith and Arctic Fuji). These are the apples that you need to avoid. They altered these apples to remove what makes them brown.